You could say it was love after the first neatball! In all seriousness, I was truly skeptical when Laura Lapp first offered me a bite of the healthy meat alternative that she crafted in her kitchen. But it tasted great. By way of background, Laura began her experimentation process to address her two daughters’ decision to become vegetarian as well as her husband’s elevated cholesterol level. The meat replacements Laura found at the store weren’t a big hit in her house, and she was looking for ways to offer a broad variety of healthy food to her family. The last thing she was thinking about was building a business! But Laura ulitmately created something that tastes fabulous while being healthy, economical, easy to prepare, and shelf stable. Of course, it is vegetarian as well as gluten- and soy-free. 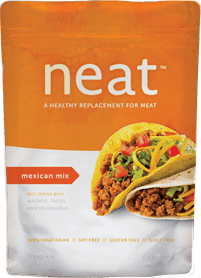 Because we are not a strictly vegetarian household, I reach for Laura’s creation (named “neat” by her two daughters) as a last-minute, pantry-stable convenience that happens to be healthy and great-tasting. But when my vegetarian sister or friends come to visit, I can make an easy substitution in one of my regular recipes calling for ground beef. 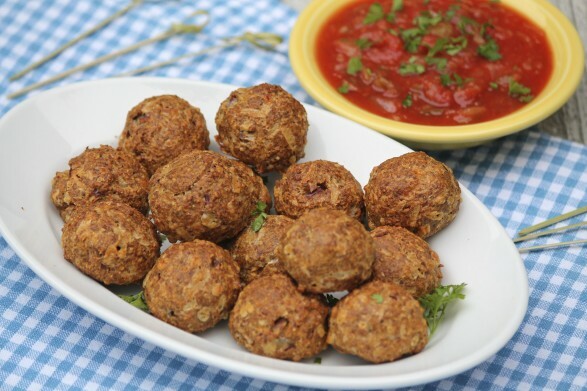 As I mentioned in my neatball recipe, I was skeptical the first time I served it to my boys, but they both loved it. There is another thing I really admire about Laura and Phil. When the reception to their product was so incredibly positive that they decided to market it, they wanted their new company to be socially responsible. Laura and Phil recognized that visually-impaired people have trouble finding and maintaining employment. To that end, neat is packaged by VisionCorps at its food manufacturing facility in Lancaster, Pennsylvania. VisionCorps provides education, rehabilitation, advocacy, and employment opportunities to people who are blind or vision impaired. For more information on Visioncorps you can visit their website at http://www.visioncorps.net/Content/default.asp. For more information about neat and Laura and Phil’s inspiring story, click over to their website at http://www.eatneat.com. Feel free to use the recipe below as a framework, omitting toppings you may not care for and adding extra of the ones you do. One big platter works well for a group appetizer, but for an easy, casual family dinner, I like to prepare on individual plates. The recipe is very easy to divide into two or four plates. 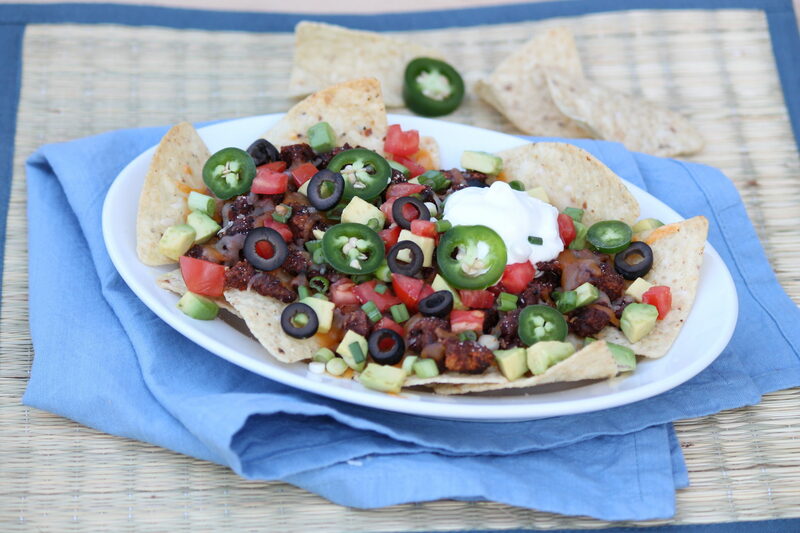 Black beans are another delicious option. You may add a cup or so, rinsed and drained, along with the salsa mixture. Yields 4 dinner-size servings or 10-12 an appetizer. Stir together the salsa, water, and taco seasoning mixture. (I recommend using the no salt version when using neat, as it is already seasoned.) Set aside. Arrange the tortilla chips in a single layer on a large oven-proof baking sheet or platter or on individual oven-proof plates. Evenly distribute the cheese and then the neat or meat mixture. (I like to get a little on each tortilla chip.) If you like extra cheese, you may sprinkle another layer on top. Bake for approximately 3 minutes or until the cheese has melted. 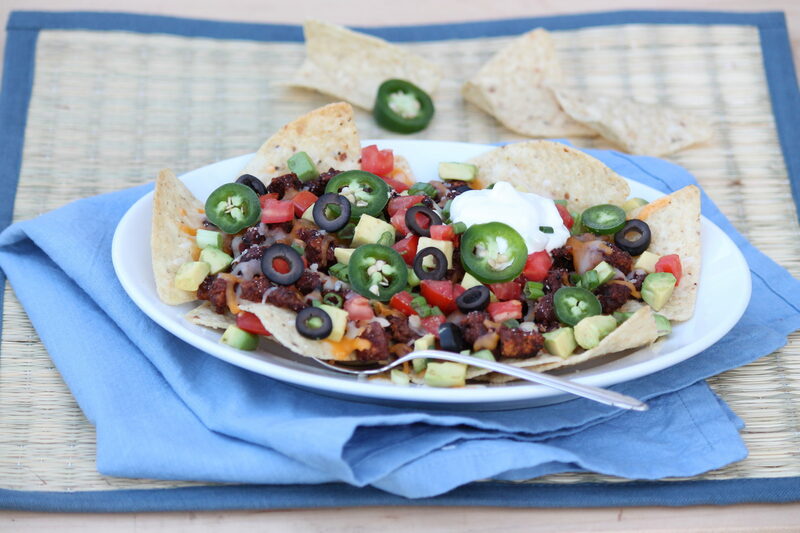 Evenly distribute the remaining ingredients, serve with toppings of choice, and enjoy! When using neat, first mix as directed on the package with 2 tablespoons of water and 2 eggs. Then sauté in a nonstick skillet over medium heat for 7 minutes, crumbling as it cooks. You may use the original flavor or substitute the Mexican option. If using the latter, you may omit the taco seasoning or include for a more intense flavor. 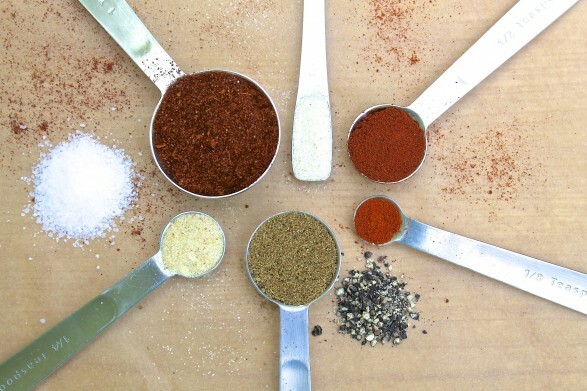 When using a store-bought taco seasoning packet with neat, I recommend a low or no-salt option as neat is already seasoned. For my easy homemade version, see the link that follows. Click on the photo, above, for a homemade option to store-bought taco seasoning packets. It can be made with spices you probably have on hand. When using with neat as opposed to ground beef, omit the salt and cornstarch. This healthier take on nachos can be served on one large platter as an appetizer or made into individual plates for a casual, fun dinner. For a “neatball” recipe, click on the photo. For more information about Laura and Phil and their healthy option to meat, click on the photo. I used the Mexican Neat last night for dinner, and the blend of spices made for the perfect Mexican flavor! My husband and three year old had no idea the meal was meatless, until I told them halfway through. The texture was great, but more importantly, the taste was even better. 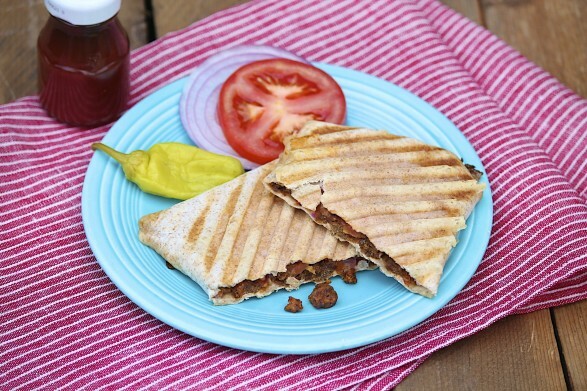 This was a quick and easy meal that I can keep in my pantry…with the added bonus of simple and healthy ingredients unlike so many other meatless alternatives. Will definitely be trying the plain version next. I am so glad this was a hit! Thank you for taking the time to share your great feedback! Made this last night for a casual and quick meal and it was terrific. Making it again for Super Bowl Sunday for sure!